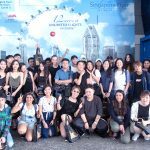 Singapore – At Raffles Singapore’s April 2018 Orientation, freshies geared up for a fun-filled day of activities that the College had in store for them before the start of the new term! 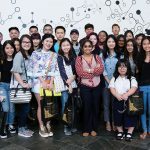 After attending the welcome address by Mr ONG Kai How, Management Representative of Raffles Singapore, and meeting the team of international Creative Practitioners and fellow schoolmates, students visited Singapore’s top 3 museums recommended by TripAdvsior – the Chinatown Heritage Centre. 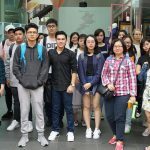 This visit was eye-opening for Raffles students, international and locals alike, helping them understand the life stories of Chinese migrants, which were presented through a multi-sensory museum design. 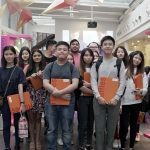 The Chinatown Heritage Centre, located within three beautifully-restored shophouses on Pagoda Street, is the only place in Singapore that has recreated the original interiors of its shophouse tenants in the 1950s, offering a rare glimpse into the lives of Chinatown’s early residents. 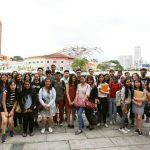 We hope our students have gained inspiration from Singapore’s heritage for their future aspirations, during their course of study with Raffles Singapore!